The direct battle for votes might be taking place in the corridors of power but it’s also playing out on your social feeds. In the lead up to Tuesday’s Brexit vote, Facebook pages on both sides of the debate spent money on adverts hoping to influence your views on Brexit. Britain’s Future, a lesser known British group campaigning for a hard Brexit, spent the most money on adverts last week, according to data from Facebook’s ad library report. The group spent nearly €35,000 and ran over 200 different adverts, most of which urged users to email a different local MP and encourage them to reject the Prime Minister Theresa May's Brexit deal. Britain's Future said it is "dedicated to making a positive, optimistic case for Brexit." According to the campaign group's website, it is edited by Tim Dawson, a writer with bylines in publications like The Spectator, Spiked and The Telegraph. And as soon as May’s deal was rejected in the House of Commons on Tuesday, Britain's Future pushed out another batch of ads encouraging people to sign a petition for a second referendum. “Theresa May can’t ignore us now her Brexit plan has collapsed. Tell them that the #OnlyWayForward is a People’s Vote!” reads one of the ads currently running on Facebook. The Cube reached out to Britain’s Future and Tim Dawson to find out more about the group but had not received a reply at the time of writing. 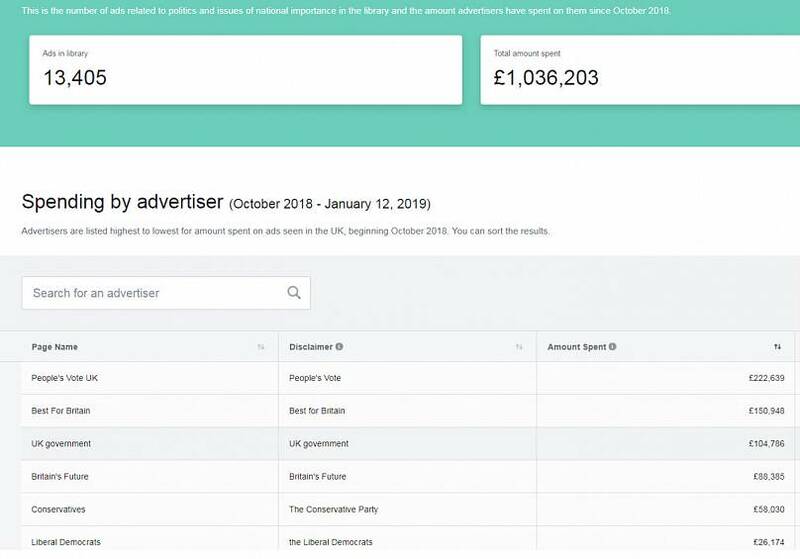 People’s Vote UK, a British campaign group calling for a public vote on the final Brexit deal, spent over €11,000 on 278 different ads last week. Overall, this group has spent the most money on Facebook advertising, shelling out over €248,000 since October 2018, according to the publicly available data. 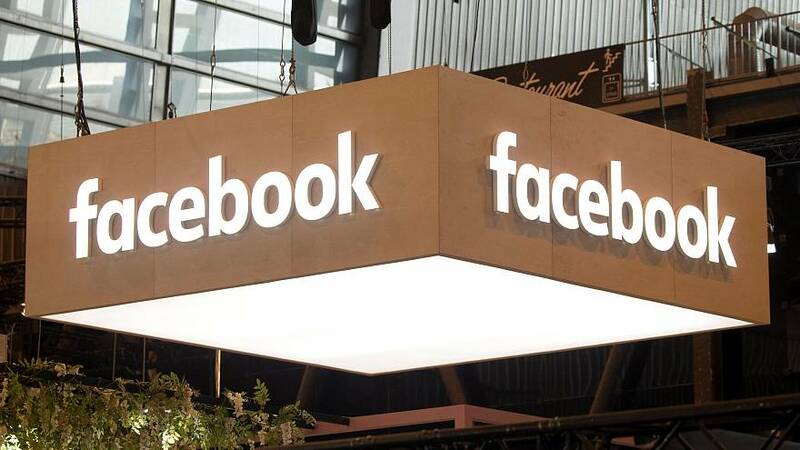 The UK government was criticised for spending over €118,00 on almost a dozen ads that ran on Facebook in December 2018. These 11 explainers sought to promote May's deal in the weeks running up to her decision to pull the Commons vote. Facebook's new ad archive was created to give users more information about who is advertising on Facebook and who they are trying to target. The archive was first announced last year and is available publicly for political advertising in the US, UK and Brazil.